Today is one of mourning and tragedy, our Queen is no more, having been brutally slain earlier today. Executed as a traitor within the confines of the Tower of London’s wall. Everybody is in shock, nobody is saying anything and the world is a darker and sadder place. Sir William Kingston was ordered by Thomas Cromwell to clear the Tower of London of foreigners and reporters who may be sympathetic to Queen Anne Boleyn’s cause, so our roving reporter, Sir Tim Ridgway, was unable to attend. Those that did attend spoke of Queen Anne Boleyn’s poise, dignity and courage, and we are proud to have called her our Queen. Congratulations to our Anne Boleyn Day Competition winner, Memory Gargiulo, who wrote the above eye-witness account. The judges loved the twist at the end and we all found it very moving and a fitting tribute to our favourite historical character. The judges were impressed with all of the entries we received and it was really hard choosing one winner so a big thank you to all of you who entered. We would like to give a second prize of a $10 Amazon voucher or Anne Boleyn Files voucher to Katherine Stinson as the judges also raved about her article on Thomas Cromwell – congratulations, Katherine! I must also mention Nasim who wrote hers in old English just like the Chronicles and contemporary sources – great idea! 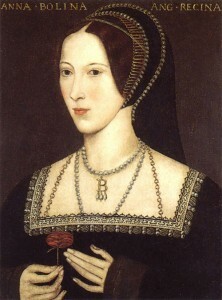 You can read all of the entries at Anne Boleyn’s Execution – Competition Articles 2011. Again, it was so hard to choose a winner so thanks to everyone for their amazing articles and hard work, the judges commented on how well the articles brought that day in May 1536 to life. For a detailed account of the events of the 19th May 1536, you can read my article 19th May 1536 – I Have a Little Neck: The Execution of Anne Bolyen. Anne Boleyn’s Execution – Is there an Explanation for her Scaffold Courage? « Are You Commemorating the Execution of Anne Boleyn? RIP Anne… Queen of our hearts..
Congratulations, Memory!! The ending was breathtaking, I loved your idea! And congratulations to everybody who wrote about Anne. I did love the above report and the twist was unexpected. I very much hope that Anne and her brother were reunited in death. I am sos ad !!!!!!!!!!!!!!!!!!!!!!!!!!!!!!!!!!!!!!!!!!!!!!!!!!!!!!! What would history have done if she lived what of all the what ifs? Catherine Howard would have been spared ! Why did Anne die for adultery after Cranmer fiund the marriage invalid? None too bright, Henry was then. Brave as a lioness to the last. He put an end to your fire and light. Rule an empire greater than his. Partisans and foes, to meddle with your cause. As if daring us to continue the fight. We will, Dark Lady, Enigma to the last. God rest your soul, Queen Anne. Memory, this is beautiful. I love the thought that George was there waiting to walk with her into their next adventure together. Thank you. Powerful article…I am at a loss. Rest in peace our beloved Queen Anne! That was such a cute little story! I loved the twist at the end, wasn’t expecting that! So sad that they had to die in such a cruel way but at least they were finally together in the end. I admit being the nerd I am and an admirerer of this great woman, I had a moment of silence at 9 o’ clock this morning, remembering this woman’s death. Wonderful essay and great posts. Touching and beautiful. Thank you so much. I have majored in History and like many others have been fascinated by Tudor history and TV shows and movies made on that era. I have followed this site for a while now though this is my first comment. I must say it’s very informative and entertaining. Today I had to. It’s been an emotional experience. Rest in peace Queen Anne. One great victory of hers was the glory of Queen Elizabeth. God bless. Amen. The afterlife held one advantage over Tudor England. Henry VIII was not there. He would never abuse or disappoint Anne ever again. I loved the idea of Anne reunited with her brother George. It makes sense they two might head out together. Today is a very sad day. I spent the day watching all of my Anne movies. I have a red candle buring all day to honor and remember such an incredible woman who was way way way before her time. WE LOVE YOU ANNE. That was so moving. Started to tear up at the end. Congratulations, Memory Gargiulo! You have earned that prize – a very sweet and touching reunion story, though we had no idea until that last little statement! I think no less than Anne herself would approve. Way to go, Memory! Your story was very touching. Queen Anne will live forever in our hearts. Congratulations, Memory! Well-done! I, too, love the twist at the end and the descriptions. Wonderful! It made me both sad and happy to think that George was there waiting for her. Sad that they were gone from this life, but happy that they were reunited. Beautiful piece of work. Oh, and thank you so so so much for awarding my article!! I feel very honored, thank you. Kudos Memory, what a great article! I wonder if, in her very last moments, Anne saw George? Wouldn’t it be wonderful to think that, perhaps it gave her peace. She could have focused on his smiling face, maybe heard him saying “Just look at me dear sister and don’t be afraid”. As we commemorate her coronation today, it is a bitter-sweet occasion, knowing that it will end with all that is remembered on this page. Heart wrenching when you think about it, At least for a short while she was The Most Happy, and that must count for something. Be at peace Anne. What a terrific essay! Congratulations! Such a simple and beautiful account, well done Memory! pure genius to think of her passing and her brother there waiting to take her to heaven. Very emotional and I love the photo from The other Boleyn Girl.